Be the captain of your own adventure! 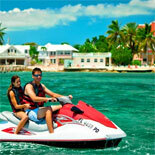 See this island paradise the way it was meant to be seen...from the water, on the Ultimate Jet Ski Tour. Climb aboard your own Jet Ski as expert guides take you on a 28-mile journey through the waters of the Atlantic, the Gulf of Mexico and the back country of Key West. Get ready for the water adventure of a lifetime! During this awesome 90-minute, 28 mile Ultimate Jet Ski Tour, your guides will take you around the waters of Key West, and help you explore Key West in the most exhilarating sightseeing adventure on the island. You are the captain of your Sea Doo Jet Ski, so feel free to rev it up and make a splash or take your time and immerse yourself in the beauty that surrounds you. 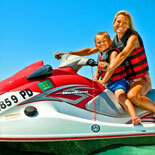 Bring along a friend or two or ride solo - these new Sea Doo Jet Skis can accommodate up to three people. The Sea Doo Jet Skis are top-of-the-line, providing better handling, a smoother ride and a higher performance. Follow expert guides as you travel through the Atlantic, the Gulf of Mexico and Key West's backcountry, remote islands, past Mallory Square, the Southernmost Point and some of the most stunning, natural beauty you'll ever encounter. There is a stop at a popular sandbar. Here, you can hop off your jet ski, take a dip, refresh in the crystal clear water and take a moment to look around and soak it all up! Don't forget your waterproof camera, you will have many opportunities to get great photos of some of Key West's most popular sights. As the tour makes its way around the island, you may even spot a friendly bottlenose dolphin, beautiful birds or a resident sea turtle. A Water Adventure Of A Lifetime! Operates daily. See calendar for departure times. 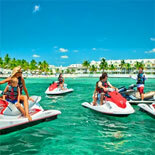 The Jet Ski check in is located behind the Ocean Key Resort - 0 Duval Street. 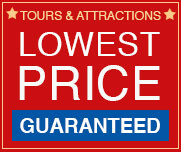 Guests must be at least 18 years old OR have a parent/legal guardian present at check in to participate. + Guests born in 1988 or after may operate the Jet Ski if they have a photo ID and meet ONE of the following criteria: a) They have a United States Boater Safety License b) They are riding with someone born before 1988 c) They are riding with someone born before 1988 or who does have a United States Boater Safety License There are two ways to obtain a Boater Safety License: 1) A temporary Boater Safety License can be obtained by checking in one hour before departure time and take a 25 question, multiple choice, open-book test in English. 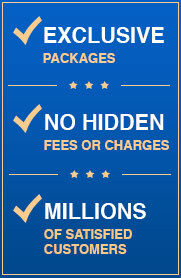 + There is a small fee of $3 to take the test per rider. 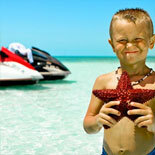 + Guests ages 4-13 are not allowed to operate a Jet Ski under any circumstances, but are more than welcome to accompany an adult. + Guests 14-15 years of age may operate a Jet Ski with another person on the ski who is at least 18 years of age & meets the required criteria. A parent must be present to sign paperwork at check in. + After obtaining a Boater Safety License, guests 16-17 years of age may operate a Jet Ski, when a parent signs paperwork at check in. 2) You can obtain your Boater Safety License online by going here: https://www.boatus.org/florida and present it at check-in.